We begin the book of Job today (chapters 1-4). It is believed to be one of the oldest books of the Bible. It's the story of a very faithful and blameless farmer. He has it all, and Satan tests his faith with God's permission by taking away all he has, including his health. Things get so bad for Job, he's in such agony, that he wishes he could die. This story is always one that's hard for me to read. Innocent people suffer so often in our world, and that's what's happening today. Job is a good guy, an honest farmer, a loyal husband, a devoted father, and a compassionate friend. He's in the middle of this really hard season in his life, and he just can't seem to catch a break. When it rains it pours. Our compassionate, forgiving and gracious God, mighty and awesome, our God abounding in love for us allows the suffering. Our brains can't help but ask "Why?" At the same time, it's significant to notice that God is not the source of Job's suffering. Job hasn't done anything wrong; and yet even his friends begin to associate his suffering with guilt. Yet, the story tells us again and again that Job is blameless. And so what does all of this mean for our own relationships with God? I think, surprisingly, it points to God's grace. In fact, I am surprised as I write. For Job, even his painful circumstances are an opportunity to acknowledge God's sovereignty in his life and praise Him. Job has serious, life-saving faith even though he feels like dying. Job gets what he doesn't deserve, and that is two-fold. Job experiences suffering that he doesn't earn, and he has God's love and adoration, which we know he also cannot earn with enough good works. That's how this life is for us too. We often get what we don't deserve. And when we do, we can't help but remember Jesus and all He went through for us. Our suffering is just another part of our lives that points straight to our desperate, deep need for God's grace. It's by grace, through faith, we are saved (Ephesians 2:8). Our compassionate, forgiving and gracious God, mighty and awesome, our God abounding in love for us allows suffering. That's a truth that is near impossible for us to fully understand right now. But this is also the same God who is everlasting and slow to anger. He sees a much bigger, eternal picture for us, and He alone knows just how to get us there, to the place He has prepared for us. Thank You You that by grace, through my faith in Jesus, I am saved. I look around at all those who are suffering right now, and I pray for them. I pray for those who are hurting and sick and for those who are spiritually lost and broken. I pray for their families and friends. I see this suffering and pain, and I know how much we all need Jesus in our lives. Pour out Your Holy Spirit and strengthen us. Blessed be Your name, Lord, who saves us and heals us, both here and for eternity. Yesterday, we ended our reading with things not looking good for God's people in the Persian capital of Susa. They have been living in captivity since the Babylonian exile. Haman, the Persian king's evil top official, thinks he has the upper hand in the kingdom with his plot to kill all the Jewish people. Today the tables are turned in Esther 6-10, and Mordecai and Esther are able to save God's people with His help and favor. This story is an example of how God uses situations and individuals with character to do big things for His sovereign Kingdom. Today's reading has me thinking about the situations I am in right now. Think about your life. What "situations" are you in? As believers, God can strategically use us for His purpose wherever we are. No matter what we face, God loves to work through us to bless others. Mordecai and Esther are a perfect example of what that looks like in action. Despite Haman's best evil plans, Mordecai ends up being the man honored by King Xerxes while Haman ends up being the guy who loses his life. Even when we are sleeping or things seem to be standing still, God is at work. God prepares the place and the opportunity to serve Him. The timing of the king's reading the chronicles of his reign is no coincidence. God really is in control of the situation, making the way for Mordecai. And with Esther's fearless help and God's favor, the next thing we know, things work out for God's people and Mordecai becomes a well-known hero. Mordecai the Jew was second in rank to King Xerxes, preeminent among the Jews, and held in high esteem by his many fellow Jews, because he worked for the good of his people and spoke up for the welfare of all the Jews. This story reminds me that the situations in which we find ourselves (good or bad, easy or hard) are gifts of opportunity from God (who is always with us). They are God's timing, God's setting, and our unique character brought together by His hands to transform our lives and the lives of those around us. Our situations and circumstances are an invitation to see what God can do when we let Him have control. What a blessing! Thank You for Your sovereignty in my life and in the world. Thank You for blessing me with Your unconditional invitation to serve You and be transformed by You. Please forgive me for all the ways I fail to respond appropriately to the situations in which I find myself. Help me seek You and find You, no matter where I am or what I am doing. Guide me with Your Holy Spirit that is at work in me. Lord, You know all the details and complexities of my situation right now. You know the circumstances of my family, my community, and the world. Use me to bless and save others like You did Mordecai and Esther. I give myself to You, and I trust the plans You have for me and all of Your believers. God's people are settling in their homeland again. Jerusalem has new life and a new start under Nehemiah and Ezra's leadership (Nehemiah 11-13). The dedication of the great and newly built wall in Jerusalem is reason for celebrating God's power and presence. Nehemiah ends this book of the Bible with a few last reforms. Nehemiah wants God to remember him with favor for his faithfulness. They offered great sacrifices that day and rejoiced, for God had made them rejoice with great joy; the women and children also rejoiced. The joy of Jerusalem was heard far away. These people are happy the newly built wall is done in Jerusalem. But, it's so much more than that too. This isn't just about Nehemiah knowing how to throw a good party. God's people are willing and able to see the wall as evidence of how God has worked through them. Even in their celebrating, God's Spirit is filling them, "making" them rejoice. God is the life of the party. He's the source of their celebration! I don't know about you, but I want all my celebrations to be purposeful and joyful like that. That doesn't come from talented party planning. It comes from surrendering to God's Spirit that is able to rebuild all that is broken. Celebrations like that come from making God the invite at the top our our guest list so He can open our hearts to His powerful and transforming love. Thank You for Your Holy Spirit that is at work in me and in those around me. Life can be so hard, so overwhelming, so busy, so unexpected, so exhausting, so distracting, and so scary. And yet, I know Your plan for me is always perfect. I know Your joy, Lord, is my strength. Transform my heart to be thankful in all circumstances instead of wasting time on my fears and frustrations. Fill me with Your joy and make me rejoice. Help me let go and celebrate life with You. Fill ____________ with your joy also, Lord. Rebuild and transform his/her/their lives with Your grace. Ezra (the priest and scribe) and Nehemiah (the former cupbearer for the Persian king and current governor in Jerusalem) are working together for God in Nehemiah 8-10. Both men are able to follow God's purpose for their lives and make a huge difference in the lives of others. In our reading today, all of God's people come together. Ezra reads God's Word from the Book of Law, and they worship God. Ezra reminds them of all the miraculous things God has done for His people in the past. Most importantly, God's people are called to remember God's forgiving, gracious, compassionate, and loving nature and confess their sins to one another and to God. God's Word transforms people. Every one of us can use some spiritual revival from time to time, don't you know! This text today reminds me that the time is right now, for God's people then and for us. God wants us to hold on to our relationship with Him for dear life. Our relationship with God is the key to real joy in the world. I've been there, where the Israelites are today, weeping. And I struggle with focus issues day to day. I write because I know how much I need Jesus, my Savior, in my life. I am a poster child of God's grace at its best. The more I turn to God, the more He transforms me. Nehemiah tells us not to mourn or weep as we become aware of how much we need God. 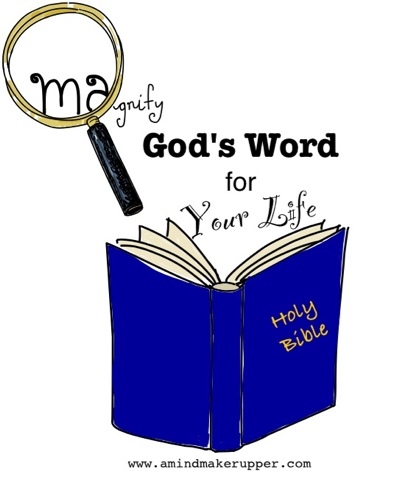 As we read, we see people confessing their sins and letting go of them. Who doesn't need unconditional love and a whole lot of grace? When we find joy in our Lord, that's where we find our biggest strength. And once we find it, God encourages us and inspires us to celebrate by sharing it with others. How can we celebrate our joy for the Lord today? Thank You for this day. Thank You for the mercy and grace I have through Your Son, Jesus. Thank You for Your forgiveness and abounding love. Show me, Lord, all the ways I need to come before You and allow You to transform my life each and every day. I pray that by Your Spirit, You will open my heart and my eyes to those who are grieving and have "nothing prepared." I pray for ________________________. Guide me in sharing Your grace and Your joy with those You purposefully put in my path this day. Nehemiah proves to be a really good guy and a strong leader. So what makes him so good? Nehemiah continues following the tugs on his heartstrings and working for God in Nehemiah 5-7. He seems to know how to pull his fellow people together for God's purpose. The jewish people are able to finish rebuilding Jerusalem's wall in a record 52 days! The fact that they are able to finish such a massive project in so little time points to God's presence in the project, and people talk about it. God is glorified. Nehemiah also pulls people together to help the poor who are suffering tremendously during the famine. He inspires people to action for God with his words. Nehemiah eventually becomes governor, and he is intentional about serving selflessly, refusing to take any land or food that is normally allotted to men in his position. He's what we would call a class act. As time goes on in Nehemiah's story, I can't help but think about the "projects" I have going on in my life right now. How about you? What "projects" do you have in the works right now? I found myself making a list of all I have going on. This is a busy time of year. It's easy for me to get overwhelmed. Nehemiah reminds me of two really important points about living in faith. 1. I need to take my list of projects before God on a regular basis. I need to make sure that those things that are taking my mental and physical time and energy are a part of His call in my life. If they aren't, then I don't need to focus on them. Enough said. Sometimes the items that need to be at the top of my list aren't "projects" at all, they are people and relationships. Be it a project or a relationship that needs nurturing, wherever God needs me, Nehemiah offers another important point. 2. When I am working for God, circumstances and people will try to distract me from my real purpose. When those times come that I feel overwhelmed and like my work will never get done, I have a simple strength building prayer I can use. It worked for Nehemiah, and it will work for me. That prayer will work for all of us who believe in the power of the resurrected Christ that is alive and well and at work in our lives. Thank You for the constant Helper I have through my Savior in the Holy Spirit. Forgive me for getting overwhelmed with my current projects and busy days. I often feel insufficient and discouraged when I know You will equip me with everything I need. I bring my project list to You God. Open my heart to the ways I need to edit my list of things to do with You in mind. What relationships do You need me to put at the top? What projects do You need me to focus on for You? Speak to me and help me keep my priorities on You. Strengthen my hands, Lord, and strengthen the hands of those who are in need of this same prayer. I pray that You will use me to pull people together and build them up for Your purpose. Show me how to inspire others to action and serve You selflessly. 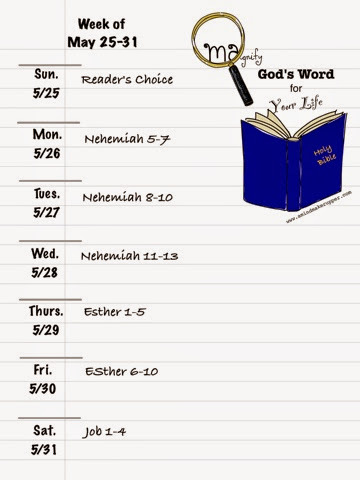 We finish reading Ezra's story today (Ezra 8-10). He's a really successful guy when we look closely at his life. But, his success isn't at all defined by a custom built palace or fancy chariots. Ezra's success is defined by his devotion to God. God is his motivation for all that he does. Ezra is succeeds in bringing a huge group of Jewish people back to the Promise Land. And along the way, He is a prime example of faithfulness. He reminds people of their roots and foundation in God. Ezra works hard to let God's Word ground his actions. People around Ezra see that and are inspired by it. Ezra prays so wholeheartedly, not for himself, but for an entire nation. His prayer is powerful, and it helps to change the world in which he lives. I can only imagine that those around Ezra are strengthened and renewed in their faith. When I turn my thoughts to the world in which I live today, I know it needs my wholehearted prayers and God's saving grace. I don't often think of myself as having the ability to change my country or world, but I am reminded today that God does. Every prayer counts. Thank You for the real power of prayer to make a difference in the world. Open my eyes to see and know the needs of those around me, near and far. Give me the awareness and the words to pray for them. I pray today for all who are a part of this nation, Lord. I know our sins are much higher than our heads, and I am so thankful for Christ who died to save us. Please, Lord, forgive us for going and doing things our own way instead of turning to You. At at time when "separation of church and state" is the norm, we remember that, in Christ, there is no separation from Your love for us. And so, I pray that Your Holy Spirit will fill us and move us to lead by serving You. We need You, now more than ever, to be at the center of everything that we do. Please, Lord, by Your Spirit and the power of our prayers, renew our faith as a nation one person at a time. I love You, God, with all my heart, with all my soul, with all my strength, and with all my mind. Guide me in loving my neighbor as myself, and may this love be contagious, life-changing, and transforming, both near and far. Ezra 5-7 takes place after God has given His people a second chance in Jerusalem. Many who were exiled are home from Babylon attempting to faithfully rebuild the Lord's temple, and they are facing major setbacks and opposition. We can't help but realize that God's second chances, His great projects, take an unpredictable amount of time (His time, not ours). Even when it seems things aren't happening, God is working things out in His plan. God sends two prophets, Haggai and Zechariah, to be encouragers and keep Zerubbabel and Joshua moving forward on the rebuilding project. Before we know it, the new King Darius, is working on their side, and it's all officially in writing. The Lord's temple gets completed, and God's people celebrate in a big way! God's timing, especially as it jumps around in the Bible, can be impossible to understand. But according to my Life Application Study Bible, 60 years passes between chapters 6 and 7 in Ezra. The first exiles have been in Jerusalem for 80 years, and Ezra wants to bring even more of God's people back from Babylon to the Promise Land. And so, Ezra makes the trip. We finally get to know a little bit about the man behind the book we are reading. Ezra is a priest, a scribe, a scholar of God's word, and he is the credited author of several books in the Bible (1 & 2 Chronicles, Ezra, Nehemiah, and Psalm 119). As we will see, Ezra is a great and faithful leader for God, somewhat of an "unsung" hero. There's so much we can learn from his example. Ezra works to teach people about God and His Word for their lives. I love how Ezra is so busy devoting his life to God, he has no idea how successful he is along the way. He gives all credit and praise to God! I am reminded how possible it is for all of us to do the very same thing in our work. That is, even though we may not all be scholars of God's Word or priests, we can give God room and credit in our lives, no matter what we do for a living. And like Ezra, when we devote ourselves to God, His hand can accomplish awesome things through us. Thank You for using faithful people like Ezra to help grow my faith. Forgive me for all the ways I limit myself to my own abilities and forget that I can do so much more when I rely on You, Lord. Open my heart to the ways I need to be more like Ezra. I praise You, Lord, who has the power to transform hearts and work miracles. I am so grateful for the way Your hands are at work in my life. Every good and perfect gift is from You, Lord. Persia is the new world power in Ezra 1-4. And after 70 years of living in exile (in Babylon), King Cyrus allows the Jewish people to return home to Jerusalem and rebuild the Lord's temple. We begin to see that our God is a God full of second chances for His people. The relocation and the rebuilding projects turn out to be huge undertakings. But God is with His people, and we can sense new life and new energy in their faith. It's exciting. How about you? Think about a time in your life when you have had to relocate, rebuild, or start over in some way. Did you allow God to be part of your undertakings? How so? How are we to recognize God-given second chances in our lives? For starters, God works on hearts behind the scenes in unexplainable ways, according to His good plans. I mean it's been 70 long years of captivity, and God works in the heart of the Persian king. What are the chances of that? If God did that back then for His people, He most certainly can work in the hearts of those that have influence in our lives. Another thing about God's second chances is they come with His directions and provisions for the journey. Check out the items God's people got to take with them. In all, there were 5,400 articles of gold and of silver. Sheshbazzar brought all these along with the exiles when they came up from Babylon to Jerusalem. When God calls us to go somewhere and do something, He doesn't get us where He needs us empty handed. He blesses us with exactly what we need. And the last thing I think today's reading teaches us about God's second chances is that they aren't easy, just purposeful. God's people agree to build the temple. Seeing God's temple in ruins is a hard scene to digest. There's heartache there. And even though they find strength in God to do what He is calling them to do, outsiders are threatened by them and intentionally frustrate their honest efforts. As soon as the copy of the letter of King Artaxerxes was read to Rehum and Shimshai the secretary and their associates, they went immediately to the Jews in Jerusalem and compelled them by force to stop. 24 Thus the work on the house of God in Jerusalem came to a standstill until the second year of the reign of Dariusking of Persia. With second chances, we are forced to face obstacles along the way. We just have to know that even the obstacles are a part of God's big promises for our lives. We can't let road blocks, big or small, weaken our faith in the second chance God is offering us. We'll read more tomorrow to see what happens next with this huge relocation and rebuilding project. Thank You for the endless supply of second chances I have in Christ. Help me to recognize your powerful hand at work when You call me to renovate, rebuild, and renew areas of my life. Forgive me for all the ways I fail to give second chances to others. Open my heart to forgive as I am forgiven. I pray for ________________ today who really needs a second chance in his/her life. I love You, Lord, and I know that nothing can separate me from Your amazing love for me. I am so grateful for that.